For a highly efficient window that will meet the 2015 IECC in all Texas climate zones, we recommend selecting a window with no more than 0.35 U-Factor and no more than 0.25 Solar Heat Gain Coefficient. 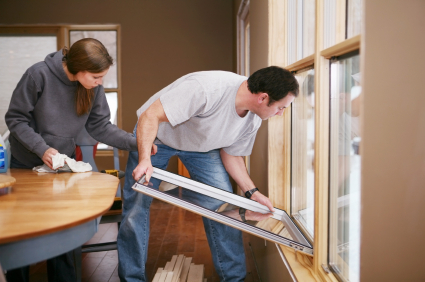 An energy efficient window in Texas is a window that reduces heat exchange, particularly the solar heat gain. Solar heat transmitted through windows is the biggest contributor to costly air conditioning bills. New windows in Texas must have a solar heat gain coefficient (SHGC) of no more than 0.25, although even lower SHGC values are recommended. Look for these values on NFRC labels found on energy-efficient windows. SHGC is the fraction of solar heat transmitted through a window system. A window with a solar heat gain coefficient (SHGC) of 0.25 means only 25% of the heat from the sun is transmitted through the window. How is solar heat gain reduced? The installation of the appropriate low-E windows can significantly reduce solar heat gain while allowing most of the visible light to enter. For a more thorough description of high-performance window characteristics, we highly recommend that you visit the Efficient Windows Collaborative.